After a year stuck just on Android devices, and then another year on the iPhone, Siri competitor Google Assistant has come over to the iPad —AppleInsider fires it up, to see how it fares on its own, and compared to Apple's offering. Editor's note: We first examined Google Assistant when it launched in 2017. With the release of the iPad version, we've reinstalled the assistant, and given it another go. 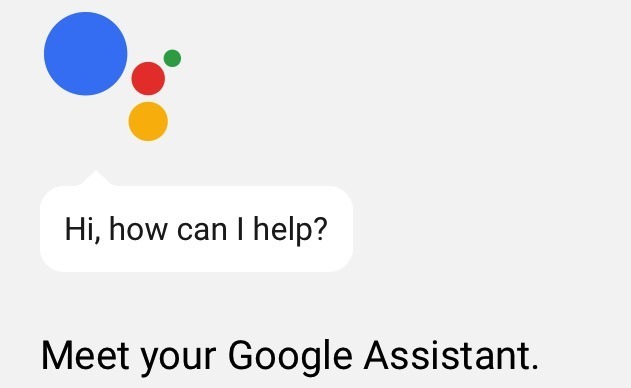 Announced during Google's I/O keynote in May 2017, Google Assistant promises to bring the full force of Google services to bear —and it's now been updated for the iPad. It remains relatively light-weight, running on anything that iOS 10 can run —meaning nearly everything Apple produced for iOS gear in the last four years. As with everything else downloaded from the App Store, the app downloaded and installed fine on a fifth generation iPad, a 12.9-inch iPad Pro, an iPhone X, an iPhone 7 Plus, and the iPhone SE. We successfully logged in with our Google account —and that's when the craziness started. 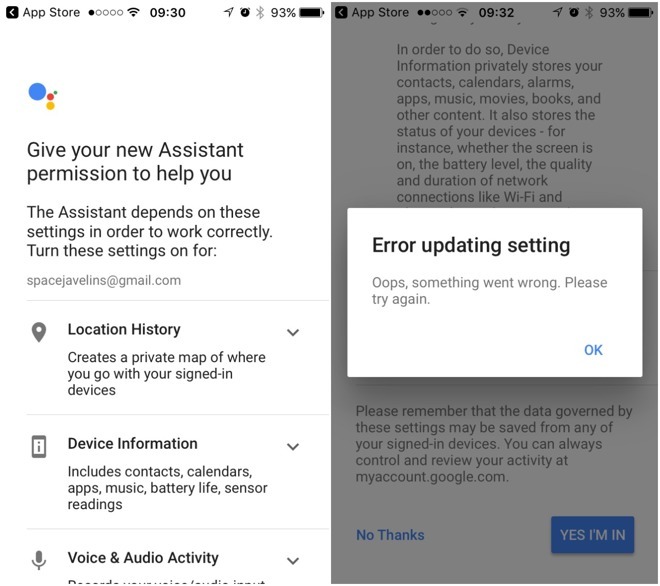 The app asked to alter our permissions on our Google account, but failed to do so when we approved the request. We ultimately had to log in on a browser, and manually change the settings. After force-quitting the app and restarting, it acknowledged the account changes, and we got to work —in portrait mode only, for both. Google account permissions aren't the only ones that the app needs, though. The first time you ask the device to do something for you that relies on your data stored on your device, it asks for permission. In some cases, you'll have granted the same permission for both your Google account, and your phone as well. This isn't a bad thing —but we found that from time to time we'd have to re-authorize the Assistant's use of stored iPhone data or features. We're not sure why at this point, but the re-authorization happened on all of the test devices. The main tester originally heralds from western Massachusetts, far west of the "Cliff Claven" line. The farther away you get from Boston, residents speak more like we're from Connecticut or upstate New York, rather than the "Cheers" mailman. We have a few linguistic oddities but they're mostly in what we call things, rather than pronunciation. Whether or not that's unaccented, is for the reader to decide. Listen to the recent episodes of the AppleInsider podcast to make an educated guess, if you're so inclined. Regardless, in our testing, Google Assistant did far better with speech recognition and parsing what's been said than Siri. Google Assistant fares better with homonyms than the current Siri incarnation does, and Google's product also does far better with acronyms than Apple's implementation. So far, we've done limited testing with speakers originally from France, the deep U.S. south, and the Philippines with the same results —Siri chokes on acronyms and homonyms more than Google Assistant does. Recognizing words is only part of the battle. Another front in that fight is what you do with the words. Neither are perfect. Siri blew the interpretation completely, but even though Google Assistant got the words right, it didn't answer the question properly either. Follow-up queries to earlier requests are a weird grab bag of what you can or cannot expect a correct response from. Asking who the current U.S. President is will give the right answer, with the follow-up "How tall is he?" bringing up the height on its own. The query "Who is the CEO of Apple" summons the brief but correct response of Tim Cook. Subsequently asking "When did he become CEO," Google Assistant starts reading from Cook's Wikipedia listing, providing the correct result as well as a link to the page itself. Sometimes the responses are unexpectedly odd. Asking "How tall is an adult giraffe" provides two answers, but while the male giraffe height is given as a range, the female giraffe's answer is given as a single height: 4.6 meters. Asking "how long is a Los Angeles class fast-attack submarine" won't provide a range, but instead will list off some of the vessels, complete with photographs. Asking for the length of a specific submarine provides the measurement. Even though touted as a feature, Google's conversational-style queries don't fare as well as it could, even if it's properly identified the question at hand. Ultimately, whether or not you use Google's Assistant on iOS boils down to three things —how deeply you're already embedded in the Google ecosystem, who you want handling your data including some personal information, and if you can tolerate the Apple-induced limitations that the app has. Google Assistant leans heavily on your existing Google profile, and all the data its collected on you associated with that account. If you've been avoiding Google so far, Google Assistant isn't a good reason to jump in now. As with Siri on iOS and macOS, Apple still isn't interested in collating data for sale. The Siri configuration menu has a button that invokes a summary of what Siri collects, what it sends to Apple, and how it is used —there is no such nicety for Google Assistant. 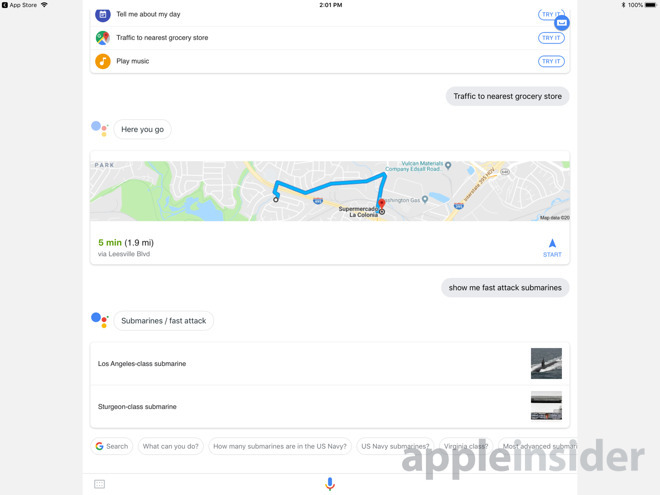 Other specifics like song names, names of photo albums, photo album names, and similar user data points are collated by Siri, but not linked to other data that Apple may have as a result of use of other Apple services. As we mentioned, Google Assistant passes requests for a song selection to Apple Music, it's not clear what Google does with this data. This probably isn't going to change any time soon. 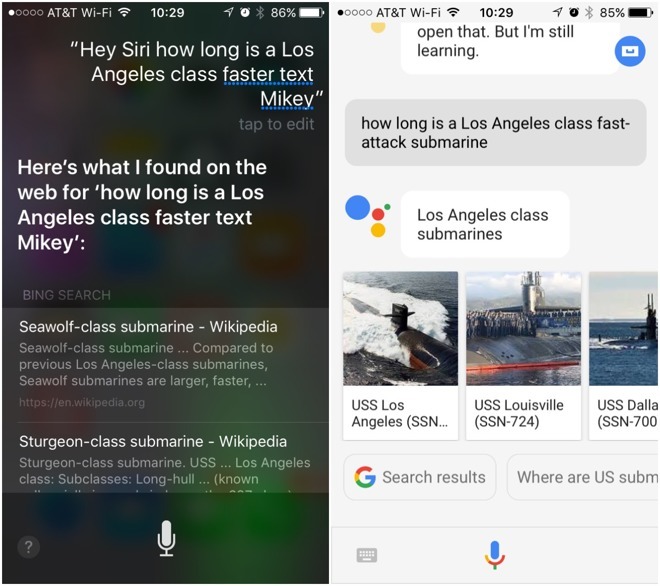 So, at least for now, Siri has an edge over Google Assistant for iOS users. But, both still have a long way to go.